Blonde or brunette? 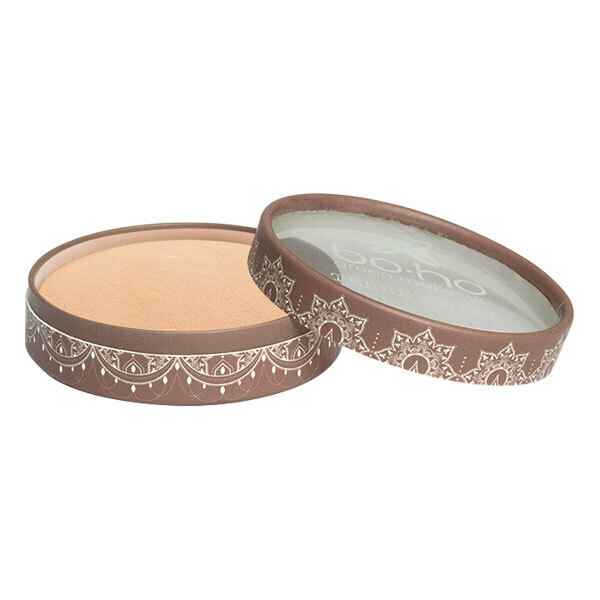 BOHO has a wide range of terracotta shades that will structure your skin and give it a tinted look.
. Label " Lyon , ville équitable et durable"
Founded in April 2012, the french bran Boho Green offers a complete range of organic cosmetic products at affordable prices. The brand offers a wide range of colour variations for professional cosmetic quality! Boho Cosmetics is a member of the Association 1% for the planet and gives 1% of its revenues to fund projects to preserve the environment. All Boho Green products are certified organic and COSMEBIO ONE VOICE therefore not tested on animals. The packaging is recyclable and made ​​of recycled cardboard and plastic. With Boho Green say YES to the natural beauty!